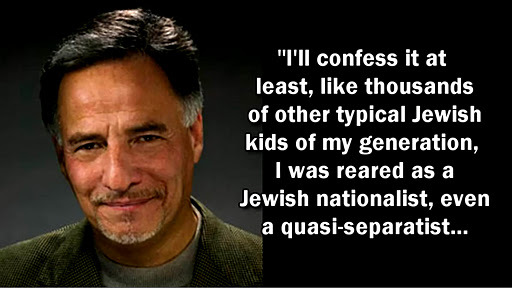 “I’ll confess it, at least: like thousands of other typical Jewish kids of my generation, I was reared as a Jewish nationalist, even a quasi-separatist. 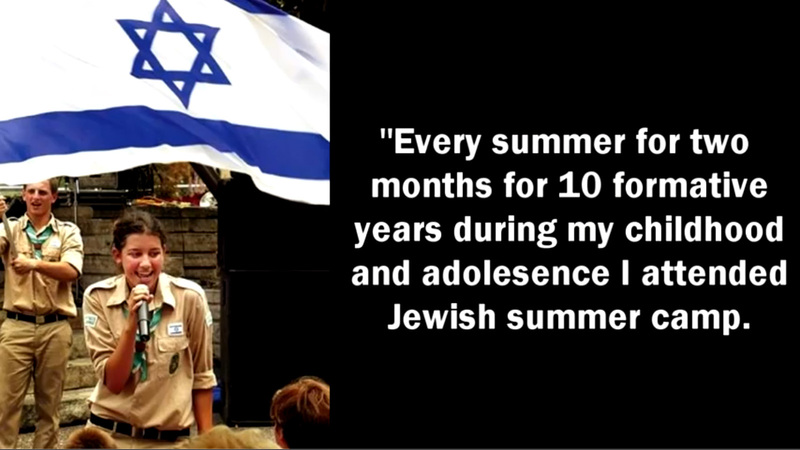 Every summer for two months for 10 formative years during my childhood and adolescence I attended Jewish summer camp. 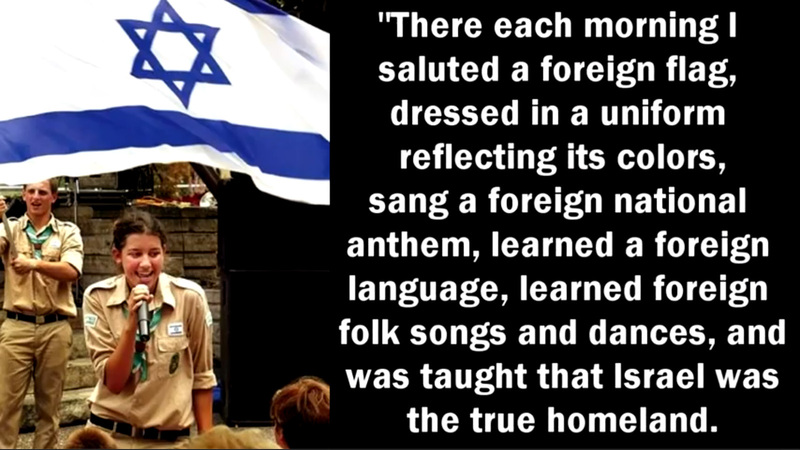 There, each morning, I saluted a foreign flag, dressed in a uniform reflecting its colors, sang a foreign national anthem, learned a foreign language, learned foreign folk songs and dances, and was taught that Israel was the true homeland. Emigration to Israel was considered the highest virtue, and, like many other Jewish teens of my generation, I spent two summers working in Israel on a collective farm while I contemplated that possibility. 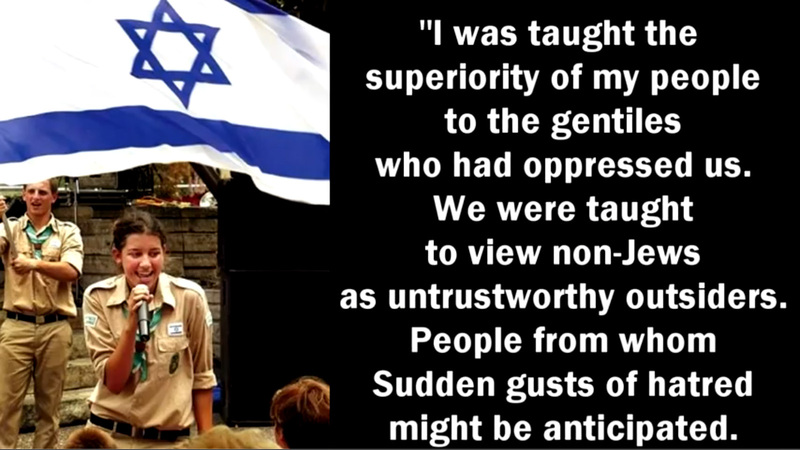 “At the basis of Israeli arrogance lies the idea that this really is a special nation with special traits that are shared by no other nation. You can see that among Israeli travelers abroad; you can hear it from anyone who comes into contact with foreigners; you can sense it in the deeper currents of Israeli policy. The Americans are “foolish,” the Indians are “primitive,” the Germans are “square,” the Chinese are “strange,” the Scandinavians are “naive,” the Italians are “clowns” and the Arabs are … Arabs. Only we know what’s good for us, and not only for us but for the entire world. There is nothing like Israeli ingenuity, there is nothing similar to Jewish intelligence, the Jewish brain invents new ideas for us like no other brain, because we’re the best, bro”. “We’re just smarter, that’s why“. “It is this soul that gives the Jews the power to be G-dly in a human world and supernatural in a natural universe. “The Jewish soul is the energy given to the Jew to be able to carry out this mission…… The soul can perhaps be explained as a “microcosm of G-d“. 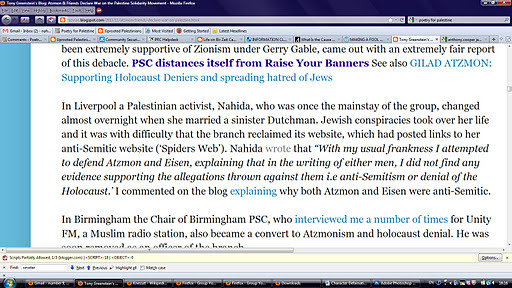 mass radiation of North African Jewish children! Of course that type of book does not deserve the attention or the concern of those who claim to be anti-racists, neither do we hear their outcry or see their protest against it. However, the same alleged “anti-racists” leave no stone unturned to try to stop people from endorsing or even reading such book!